This shirt is made of 100% Polyester Popcheck. Machine washable. This is a great take on a classic shirt. 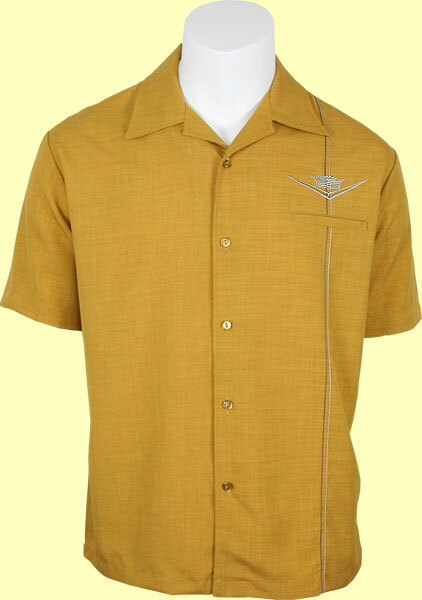 Classically styled golden yellow shirt featuring a faux welt pocket, vintage inspired stitching and embroidery inspired by a classic car symbol.